Just when you were starting to consider your layering options for autumn, Childish Gambino (aka Donald Glover) is here to prolong your summer with a video for his song “Feels Like Summer”. 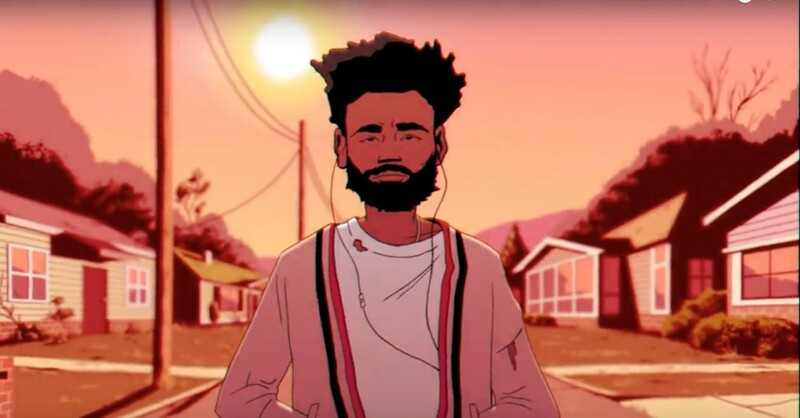 The animated video to the summer hit sees Gambino taking a stroll through a neighbourhood filled with the biggest names in hip hop, all enjoying appropriately summery activities. You can catch Azealia Banks chilling in a tree, Nicki Minaj and Travis Scott playing with building blocks, and Drake lamenting as Future steals his bike. Perhaps the most striking cameo, though, is Kanye West crying in a MAGA hat, only to be comforted by Michelle Obama. The video is directed by Glover himself, alongside director Ivan Dixon and animator Greg Sharp. As with much of the rapper/director/etc’s work, there’s a lot to unpack. See for yourself in the video below.